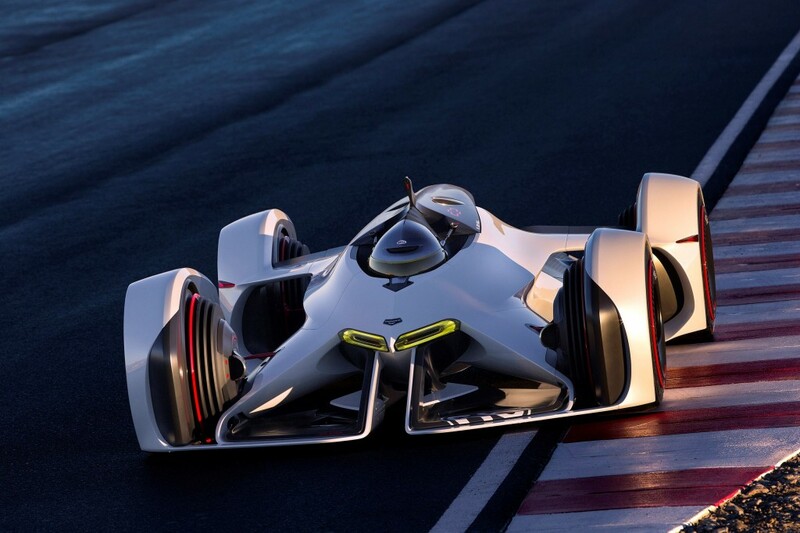 Chevrolet Chaparral 2X Vision Gran Turismo is a new concept car which was revealed Wednesday in Los Angeles Auto Show. The concept cars use a name of Chaparral to tribute historic racing partnership with Chaparral Racing. The chaparral 2X which has a composite chassis and an extremely aerodynamic body that requires to lay face down and their arms and legs splayed towards the wheels. 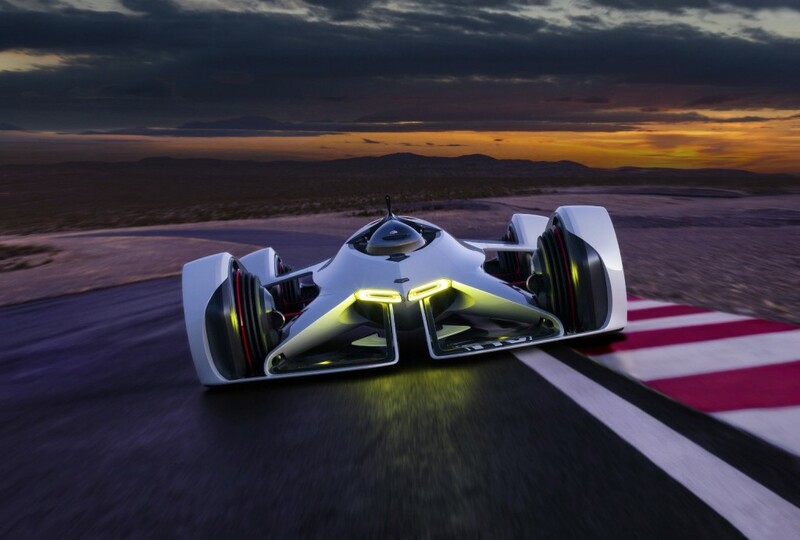 In terms of power the car is powered by a 657-kilowatt laser based propulsion system that draws the inspiration from advanced work targeted at space travel and future aircraft design. The laser in this car is powered by a lithium batteries and an air powered generator which in terms produces around 900bhp and can reach the top speed of 240 mph which is 386kmp.The car can accelerate from 0-60mph in just a matter of around 1.5 seconds. The propulsion system and its aerodynamic enables high grip enhancing down force. It has a 17 inch front and rear wheels which are wrapped with racing tyres. The information about the instrumentation and the other driving details will be directly projected in the driver’s helmet. This is new innovation in terms of racing environment is concerned and we are awaiting for this type to new and advanced technology to be implemented soon in the future.